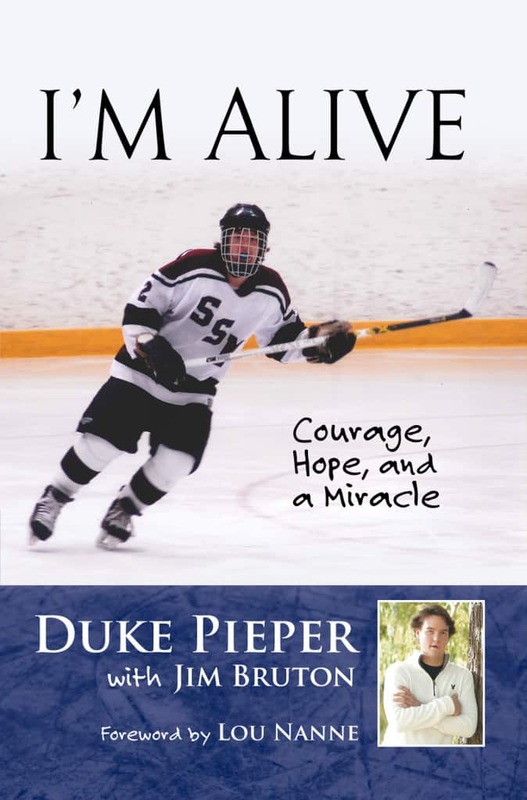 In 2008, high school freshman Duke Pieper was poised to start as a varsity player on the prestigious Hill-Murray High School varsity hockey team. The Hill-Murray hockey program is considered one of the best in the nation with an unparalleled history of success. With this recognition as a standout hockey player at such a young age, Pieper dreamed of going on to play in the National Hockey League. However, he never got the chance to take the ice as a defenseman. Before the first game began, he experienced headaches and vision problems. He soon learned that his symptoms were a result of a lesion that was causing bleeding in his brain. There is no question that I have had a difficult journey over the past several years but I have moved forward relentlessly in many ways. There is no time to dwell on the past but only time to make every effort to move toward the future. These “GOALS AND GUIDES” have assisted my progress and hopefully will inspire others who face difficult journeys. 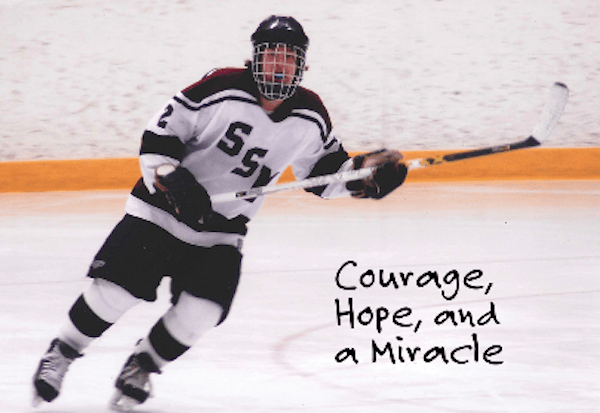 Several years ago before my life changing experience, I was blessed with extraordinary talent as an athlete and young hockey player. Without even a moment’s notice, it was taken from me. I was left paralyzed, a five percent chance of living and unable to do life’s simplest things. But I have persevered and have learned that even the most unattainable appearing things are in fact, attainable. FEELING BAD TODAY – WHAT ARE YOU GOING TO DO ABOUT IT? Believe me, I have had and still have some pretty bad days. Mostly, of course it relates to what life could have been. So, when I have one of those days, I ask myself the question, “Do I like how I feel today?” And I have to say, if I think about asking myself the question, I know what the answer is going to be. It is going to be “NO.” The response is then simple, “Well, what are you going to do about it?” With that question, I move on. FORGET THE NEGATIVE AND THINK POSITIVE! What possible good does it do to think about the negatives in your life? I like to think about the positives. You will never go anywhere complaining about your life or feeling sorry for yourself. You have to be content with who God made you to be today. I think about where I was and where I am today. I think about being happy and enjoying what I have. It keeps your mind right. It’s that mind over matter thing. It works! BEING THANKFUL TO GOD FOR WHAT I HAVE. I was paralyzed, couldn’t breathe on my own, walk, talk, couldn’t do hardly anything. Now, I’m going to college at Bowling Green University. I can drive, help out with the hockey program and have a B average. I have a lot of friends, a loving family and am looking forward to the future. I am very thankful. I was at war with God for a brief time. I didn’t understand. I didn’t get it. Now I do and God has been with me, holding me up, counseling me. We are best friends again and I am grateful. Because being in good shape physically has always been a top priority in my life, I know that it has been a tremendous motivational tool for me. It has been and will always be in my life something that I can look forward to every single day. When I am in great physical condition, it motivates my mental attitude on everything. It provides an overwhelming positive in my life. I always make reference to “Mind over Matter.” For me, it is an important part of my existence. I have to have my mind right. It gets me to where I want to go and brings me out of my darkest moments. It truly is my personal best friend. It is always there with me and provides tremendous comfort as it provides the foundation for my peace in life. Do you want to feel bad today about something? Well, take a look around and I guarantee you, you will find someone worse off than you are. Count your blessings. I take stock, do a count every day. I know where I was after my first surgery and the many that have followed. I’m doing more now and have recovered more than many of my family, friends and medical experts ever believed could occur. And I’m just beginning. Driving is a great example. Who would have ever thought? I have a lot left to do and I do not plan to waste time getting to where I want to be. This happened to me for a reason and I am not going to let it go unnoticed. Every chance I get I intend to be an inspiration to those less fortunate than me and those more fortunate but don’t know it yet. Teaching and inspiring by the example that I set makes what happened in my life all worthwhile. This happened to me for a reason and I need to take advantage of that reason. Road blocks and setbacks have been my life over the past five years. I will not let them block my path to life’s normalcy again. Each are and will continue to be an example that I will learn from and become even stronger on my mission to recovery. The future stands ahead. It is the next day, next week, next month, the next year. And what comes with it is my education, my career, my family and my friends. I only get one shot at it so I will be giving all I have to make my life a success. When I look back someday, I want to be sure I have left nothing on the table, nothing out, left nothing to chance and that I have given everything I have to be successful in my own eyes and the eyes of those I care about and others. MY REPORT CARD – HOW AM I DOING? Every so often, I have to do a self evaluation, a report card, so to speak. How am I doing? What do I need to improve on? Am I meeting my goals to this point? Am I on the right track? This is right up there with all that is important in my life. I want all A marks and won’t settle for anything less. No B’s or C’s for me. I evaluate how things are going. This is important in order to keep moving forward. Without this, I cannot figure out my overall progress and this is a way that keeps my adrenaline flowing. It keeps my spirits up and paves the way for continual improvement in all areas that I need to work on. For example, take my balance. I know this is something that is lacking and I need to constantly work on this. Taking stock keeps me updated on how I am moving toward normalcy. Life is a precious gift and it is important to recognize and appreciate it. And in the process, I have fun, I’m happy and I will do my best to find a way to enjoy the day. I strongly believe that a person’s attitude will be the key to success or failure in life. 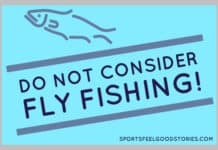 It will make you feel good or make you feel bad. It can control your thinking and your outlook during a second, minute, hour, day, month or year. It will keep you positive or negative. It is an easy decision. There is only one way to go. Keeping a positive attitude will guide you in your life. I believe it and give my very best to practice it so I WILL enjoy each day. I have said before there is a reason for all of this that has happened to me. I truly believe this. That being the case, I have a mission to assist and help others who have also had life changing experiences. Making a difference in others lives is as important as anything that I do. Duke Pieper is a student at Bowling Green State University, working toward a degree in sports management with a minor in entrepreneurship. 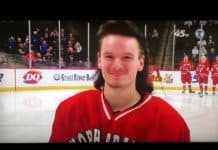 He is also a volunteer student coach with the Falcon hockey team, attending practices and games, watching videos, sitting in on team meetings and compiling stats for the coaching staff. Jim Bruton is the author of several books, including A Tradition of Purple, Gopher Glory, We Love Our Twins and The Big House. He also co-wrote the following biographies: Every Day Is Game Day with Fran Tarkenton, A Passion to Win with Lou Nanne and Best Seat in the House with Mark Rosen, and I Did It My Way with Bud Grant. Bruton holds a master’s degree from the University of St. Thomas and is an adjunct faculty member at several colleges and universities in the Twin Cities.